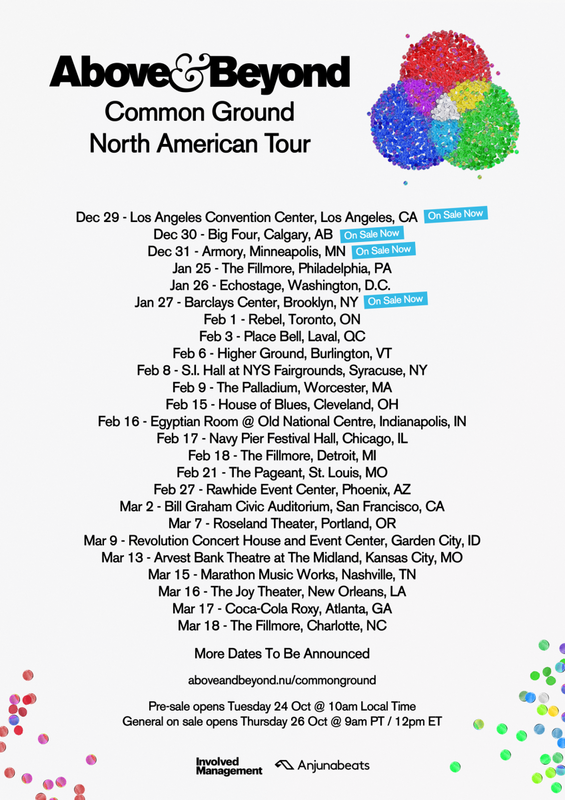 Released by Above & Beyond in cohesion with their 2018 tour of the same name, Common Ground is a coming of age story, a tale of discovery and personal adventure. The magic of this tale comes from the mutual understanding of feeling incomplete and struggling to fill the void with the affection of someone you adore. 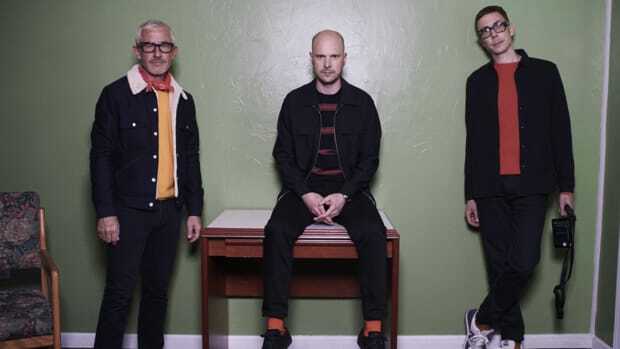 Above & Beyond takes listeners on through the full range of human emotions associated with being single, falling helplessly in love, and getting burned before discovering the love you really wanted was your own. The narrative of the entire album begins with "The Inconsistency Principle," a sonic sunrise which uses atmospheric soundscapes of pillowy synth pads to create the textural backdrop for the entire album. Heavenly guitars strum long, drawn-out chords that soon part skies to reveal the frou-frou vocals of Zoë Johnston, a British singer who has worked with A&B in the past. The synth stabs in this track are a masterpiece, with long delay chains that flitter like fireflies. In the song, Zoë details the feelings of staring at a photograph of herself and realizing that the child in the picture shared the same eyes she has today. Broken is how she describes herself, now. Mislead by deceit and the troubles of other people, she feels trapped as an adult. Zoë talks about the “remnants of our time,” meaning the present as if it has decayed since her childhood. The contrast sings through in the chorus, for the hymn she sings to herself is about being pure at heart for her own good. The energy picks up immediately with Richard Bedford’s “Northern Soul.” A tribute to the city of Detroit and the automobile industry that once thrived there, Bedford sings about an impervious fortitude of the soul, despite the decrepit state of the world around him. He drives down iconic streets in his Pontiac Firebird. 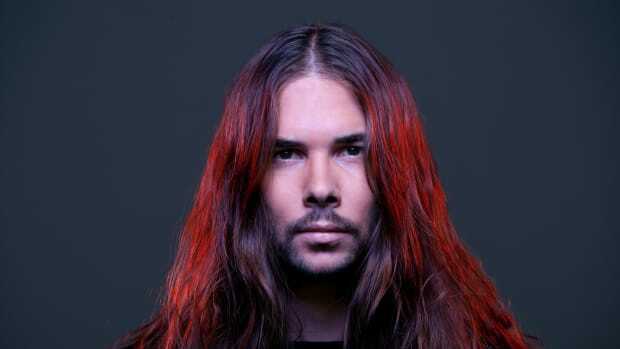 Saturated basslines kick through the mix with clarity; this would make a killer soundtrack for a sports car commercial. Bedford makes it clear that no matter what the world throws at him, nothing will crush his spirit. Common Ground exposes its vulnerability in its fourth track. “Naked” encourages us to love with all of our hearts, and vocalist Justine Suissa expresses to her lover her desire to disrobe their conversations, expressing honesty by being naked with their words. 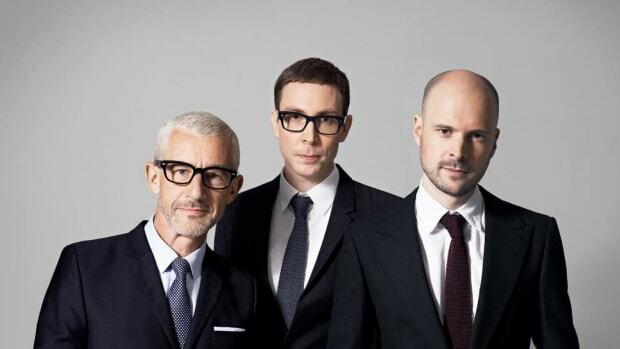 Above & Beyond really begin to define their album with “Sahara Love” by Zoë Johnston. 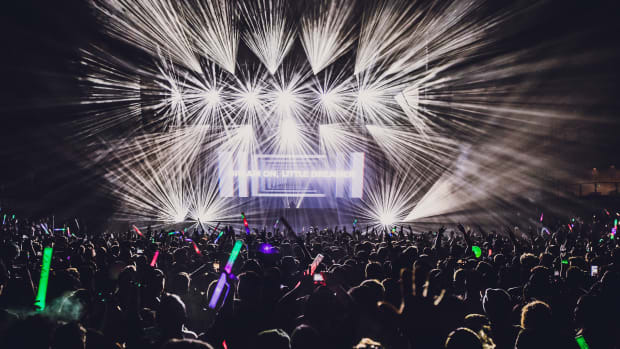 This track blends elements of indie electronica and house music, adding organic elements like guitars to give shine to its pop chorus. Love at first sight, “Sahara Love” makes it feel like finding your twin flame will be the answer to all of your troubles, that once you find your soul mate and hold them in your arms, forever, peace will surround you. 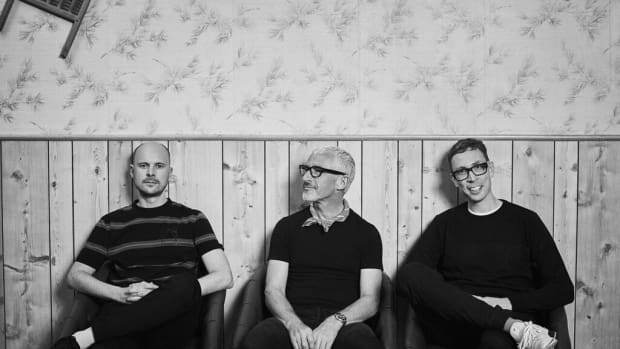 To enhance this feeling of Cupid tugging at your heartstrings, Above & Beyond again enlisted the vocal talents of Richard Bedford in “Happiness Amplified.” With orchestral elements and huge Dolby Digital theatre chords, these artists personify the honeymoon phase of a relationship in all its dimensions. When love feels like it has hit its climax and people say to themselves, “I’ve found the love of my life,” they feel invincible. The second we begin thinking in terms of “ever and ever” and it feels like nothing can turn down the love song in your heart, we expose ourselves. Emotional pain plays to the tune of “Is it love if we don’t feel the same?” Here we are faced with the reality of affection, the bitter resentment that often forms when two people fall for each other but end up getting hurt in the process. Blame tied to pain, we look at the other person from a new perspective. Accentuating their flaws, you think about the way they looked at your with troubled eyes and an easy smile, their pretty words pushing and pulling your heartstrings until all you can think about is getting crazy in their body heat. But you know them better, so you avoid them like the plague. They’re just going to leave anyway, trampling you with their cold feet on the way out. But it doesn’t matter when you pull away from the person you fell for; the damage is done. For far too long you’ve walked this tightrope, hanging upside down with the sky below your feet. Now that they’re gone, the one you thought was your true love, you’re at the end of your rope and in need of a helping hand. Marty Longstaff portrays these feelings perfectly on the ninth track of this album, “Tightrope,” which is easily one of the most majestic songs on Common Ground. At this point in the album, there is an element of self-reflection. As Justine Suissa revisits the components of her life that have lead her to this point, she says she’s lived a little but loved a lot. She’s lost herself to a past love that seemed like a dream come true at the time, but the foundation of their relationship began to crumble into an empty feeling of loss. Here is where the narrative of the entire album begins to stand on its own two legs, as our heroine learns to fill the void inside of her through learning to fill in the void inside her through her own willpower. Returning to the storyline of the male love interest, in “Bittersweet & Blue,” we discover that Richard Bedford still clings to the photograph of the girl mentioned by Zoë Johnston in her first song on the album. 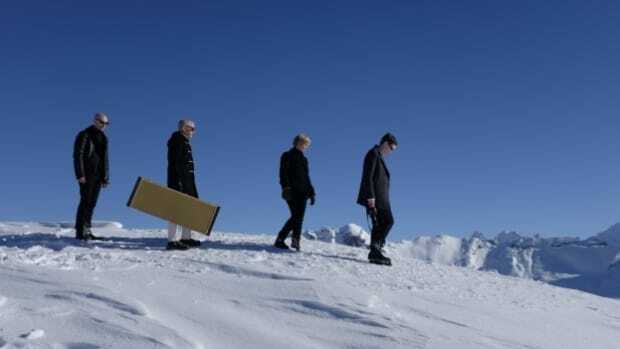 Remarking on the struggle of life and the duality of happiness and pain, Bedford admits that dreams can come true, but they’ll end up being bittersweet memories just like everything else in life. We soon learn that love is just as bittersweet. “Always,” the penultimate track of the album, is a percussion-less song that strips away almost all the standard elements of electronic music like big booming kick drums, snappy snares, and rumbling sub-basses. Replacing them with traditional songwriting elements like pianos, soft strings, and clean electric guitars, listeners are immersed in the lush chorused vocals of Zoë Johnston. Breaking up doesn&apos;t always mean that the connection between two people is severed. Some bonds are too strong to break up. Some love will always continue to rise and fall like the sun does as it revolves around the Earth. Common Ground concludes with its final track of the same title. Delicately, a sonic sunset wraps the world in a blanket of ultraviolet hues as electric synth chords stretch their harmonics in an endless sea of love. This album took us on a journey of love and self-discovery. 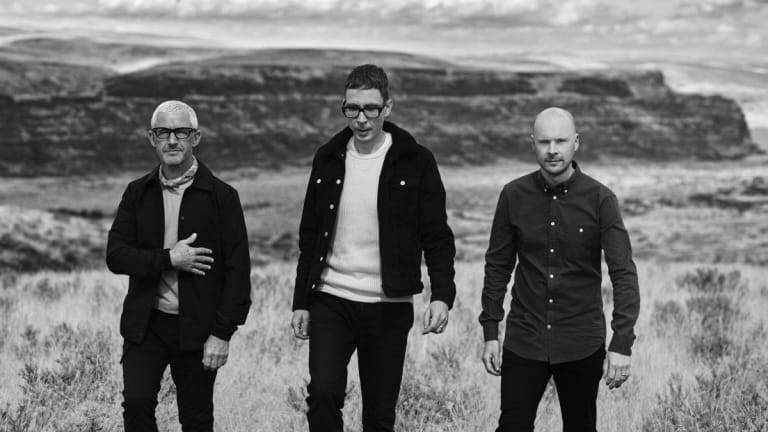 Check out Above and Beyond when they come to your town on their 2018 “Common Ground” Tour. 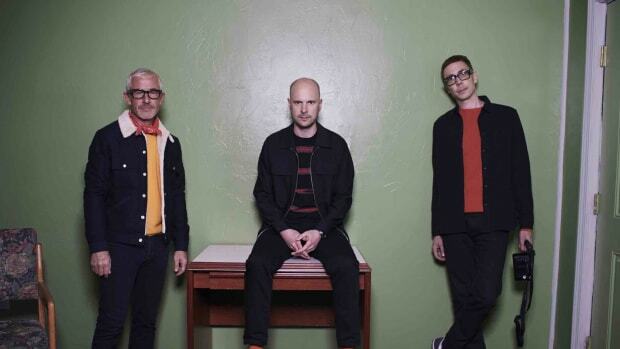 Hot off of their latest album 'Common Ground' debuting at #3 on Billboard's 200 Albums Chart, Above & Beyond are taking over the Windy City.